Tesla is finally ramping up Model 3 production — but have customers already given up waiting? Concerns about the Model 3 have spurred some of the normally upbeat Tesla shareholders to turn on Musk and his management team. Tesla CEO Elon Musk's legendary charm could not completely obscure the major challenges his company is facing, and investors wanted answers at the electric car maker's annual shareholder meeting on Tuesday. 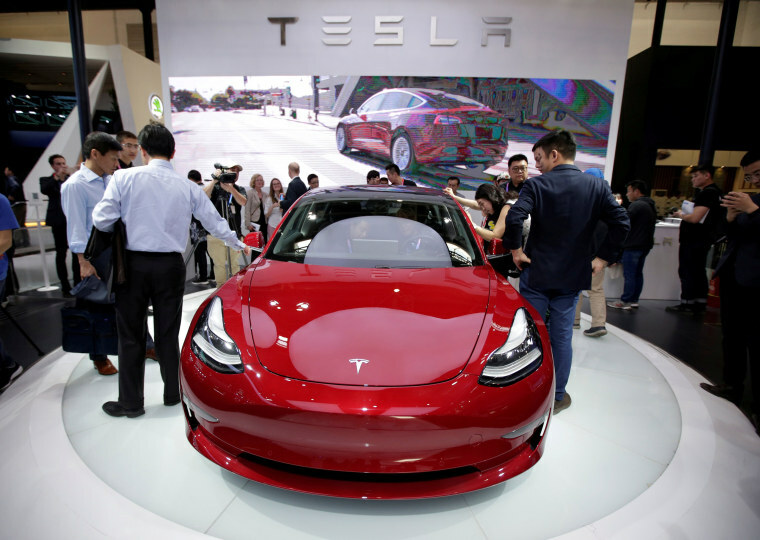 Facing increased scrutiny after production delays led to record losses for the first quarter of the year, Musk told shareholders that the company's Fremont, California assembly line will “quite likely” hit its target of 5,000 vehicles a week by the end of June. But Tesla is still staring down production delays and twin federal safety investigations into recent crashes — some fatal — and a number of lawsuits. Separately, a new report warns that a growing number of potential Model 3 buyers have been cancelling their advance reservations and seeking the return of their $1,000 deposits. Musk worked to rebuild confidence during the meeting, after beating back efforts to remove three board members — including his brother — and an attempt to strip Musk of one of his twin titles as chairman and CEO. That included dropping hints that Tesla will soon announce plans for new factories in both Europe and China. Production delays at Tesla's Gigafactory battery plant and Fremont assembly plant are clearly Tesla’s biggest problem. The carmaker had originally promised to produce about 500,000 vehicles this year, with 80 percent of those being the new Model 3, Tesla’s first entry into the mainstream market. But, by the end of March, the factory was rolling out barely 2,000 a week, and many of those needed extensive rework due to quality problems. That resulted in Tesla’s worst-ever loss during the January-to-March quarter, spurring many Wall Street analysts to predict the company would soon need to raise more equity. Musk has repeatedly said that won’t happen this year, but not everyone is convinced. And a new report by the SecondMeasure blog, which used anonymized purchase data to track what potential Tesla customers are doing, raises new concerns. Even if Tesla does manage to keep ramping up production, it's likely many of the estimated 400,000 buyers who’ve placed advance reservations would have to wait until well into 2019 to take delivery. But, according to SecondMeasure, “nearly a quarter of (those) deposits have been refunded,” while two-thirds of those who maintain reservations have yet to follow through and configure the vehicle they want, meaning many could yet cancel out. For its part, Tesla has confirmed some cancellations, but has not revealed the precise number. Musk spent most of the shareholders meeting downplaying or ignoring concerns about Tesla’s fortunes, instead laying out a picture of a bright future in which Tesla continues to add new products and gains momentum around the world. Tesla has long hoped to crack the Chinese market but has struggled to win approval from the government there to build a plant. In the meantime, hefty tariffs have limited demand. Musk previously compared Chinese restrictions on auto imports to an athlete trying to compete in the Olympics wearing lead weights. For now, Musk’s upbeat announcements appear to be resonating with shareholders. After tumbling during the day leading up to the annual meeting, TSLA shares quickly rebounded, surging sharply after hours and into Wednesday morning trading.